Hi everyone! 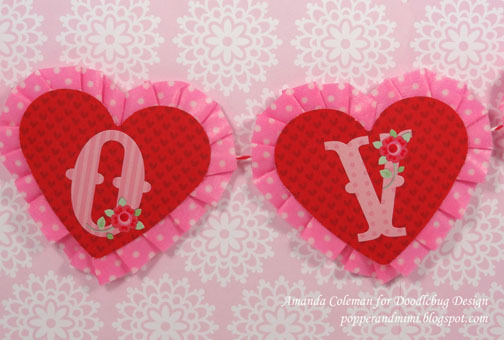 It's Amanda and I am sharing a Valentine's Day project you can whip up in a jiffy. If you have 15 minutes and a few basic crafting supplies, you can make your very own ruffled washi tape garland. Here's what you'll need to get started: heart die cuts, alpha stickers (you know you have a ton), washi tape, and baker's twine. Any color, shape, and size will do. For my garland I used goodies from Doodlebug's Lovebirds collection. 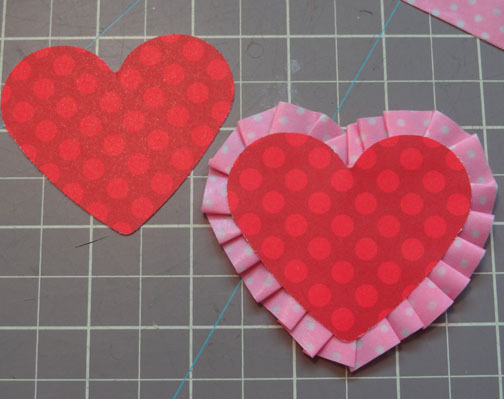 Simply punch/die cut some hearts, adhere a washi ruffle to the back, and slap some alpha stickers on the hearts. Adhere the hearts to a piece of baker's twine and you're done! 1. 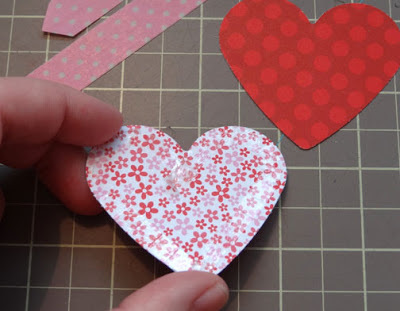 Apply adhesive around the back edge of the heart. 2. Adhere the washi tape strip to the side and begin making small pleats. 3. Continue making a ruffle all the way around the heart. When you are done, secure the ruffle to the back with a bit of regular ol' Scotch tape. The back won't look pretty, but the front sure will! 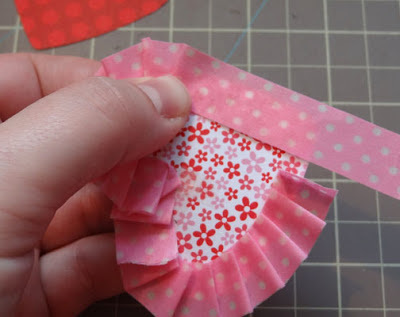 Tape a piece of washi tape sticky side up on your work surface. 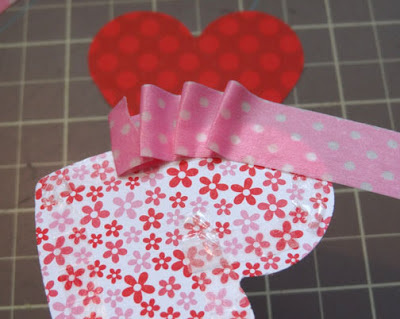 After matching up the patterns, adhere another strip of tape to the one on your work surface. TIP: Slow and steady works best. 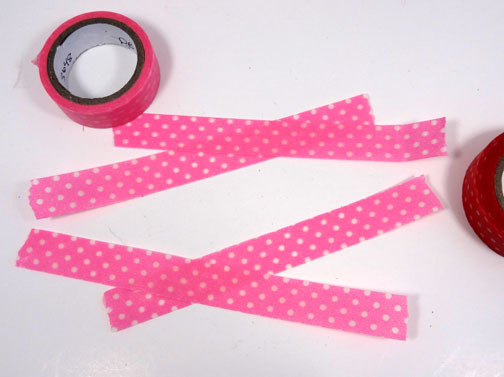 Remove strip from your work surface and remove the tape strips on the ends. 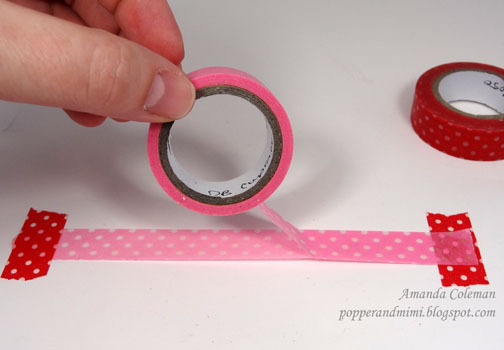 Now you have a cute little strip of decorative tape that won't stick to your fingers. 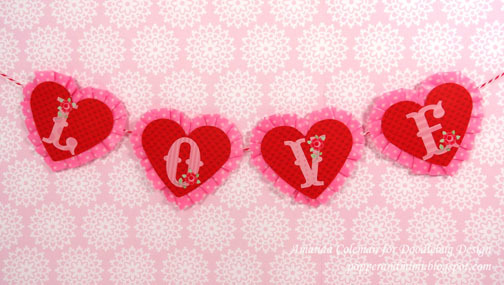 May your Valentine's Day be filled with love! Thanks for this great post. 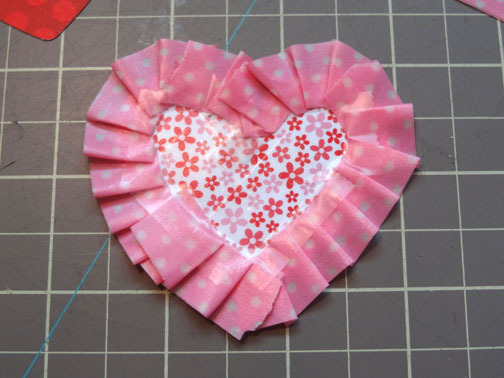 I am off to make ruffled hearts with my washi tape! Great simple instructions! Appreciate that!! I love how you used the washi tape. That opens up for more ideas to use it..On the back side maybe just add another heart. You did a great job. Thank you for sharing.